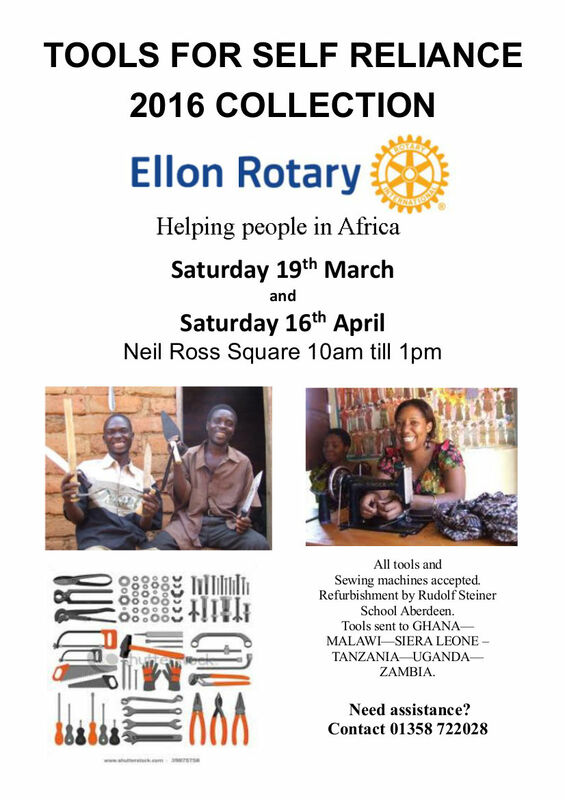 The Ellon Rotary are doing their collection of surplus tools and equipment to support development in Africa. Can you help? There are two dates for bringing your tools and equipment to their collection points in Ellon on Saturday, 19th of March and Saturday, 16 April at Neil Ross Square.